Our Plumbers, Heating Engineers and Construction workers are based in the St Austell area but cover all of Cornwall. If you think we may not cover your area, then give us a call and we will be happy to let you know! We offer a reliable, friendly and competitive service, guaranteed customer satisfaction and prioritise quality control. 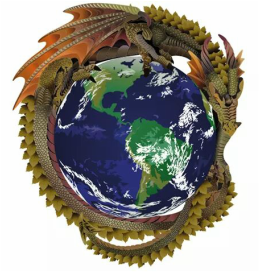 Here at Eco Dragon, we believe if we look after the planet, then the planet shall look after us, so we specialise in keeping up to date with all the latest and greatest eco friendly plumbing and heating methods going, including high efficiency Natural Gas, Oil Fired and LPG boilers as well as Solar Thermal hot water systems. Our Heating Engineers are also fully qualified to install Air/ Ground source heat pumps and Biomass boilers. Need your boiler servicing? We can offer a full boiler service on your gas, oil or LPG boiler for as little as £49 per service! We also offer maintanence services on solar thermal hot water systems and Air/ Ground Source Heating systems, all conducted by Eco Dragon's specialist heating engineers. Eco Dragon Plumbing, Heating & Renewables covers St Austell, Bodmin, Truro, Newquay and surrounding areas, but are able to travel to most areas in Cornwall! Wondering if we supply the service you require? Give us a call or send us an email and we will get back to you the same day! Is your boiler old and inefficient? With rising fuel prices, we can offer you the latest in fuel efficient boilers to save you money on fuel and help towards saving our planet with lower carbon emissions! We can provide you with a FREE NO OBLIGATION boiler quote to suit your requirements at your specified budget. Accredited Ecodan installers, Mitsubishi is just one of the heating systems we can install for you. Our most commonly installed and recommended products are created by Grant, Baxi and Kensa. Click on their names to be taken through to their website for more information. Our plumbers offer top quality plumbing services to all areas of Cornwall, including St Austell, Truro, Bodmin and Newquay. High quality service from a friendly and considerate plumber, all at a budget you can agree on! Our heating engineers are highly trained in all aspects of home heating, so we can guarantee you are getting the best local service for your budget. We at Eco Dragon Plumbing, Heating & Renewables don't leave a single stone unturned when it comes to our boiler servicing, your warmth is our main priority, so if it is getting to that time of year again where you need a boiler servicing, by booking with Eco Dragon Boiler services, you can guarantee you are making the best choice to keep you warm with an Eco Dragon Boiler Service!